Just in case you needed another reason to head out and vote on Election Day, some Austin area businesses will be giving out freebies and discounts to those who cast their ballot. AUSTIN — After you finish voting at the polls on Tuesday, make sure you snag an "I Voted" sticker before leaving the polling station. Austin businesses will be offering free items and discounts to those who cast their ballot in this year's midterms. All locations of Amy's Ice Creams will be giving out free tiny ice cream to those wearing "I Voted" stickers, or anybody with a voting receipt. APT 115 is at 2025 E. Seventh St. The fairly new wine bar will have $2 off everything on the menu, including drinks. Beer will start at $1 and wine will start at $5. This deal applies only one beer per person. The Austin Winery at 440 E. St. Elmo Rd. will have an Election Day Sale, just in case you need a bottle of wine or two when election results are announced. The business also stated they will be giving away a free sweet treat to those who have proof they voted. Circle Brewing is located at 2340 W. Braker Ln. and will have one free pint of beer for anyone who has proof they voted on Election Day or beforehand. The North Austin brewery will be hosting a watch party from 5 to 9 p.m. on Election Day. Hotel Ella is located at 1900 Rio Grande St. and will have a tent pitched on its lawn for a watch party of the midterm elections. This watch party will have drinks specials, bar snacks and a free draft beer for anyone wearing an "I Voted" sticker. You can also bring an "I Voted Early" sticker if you participated in early voting. You can find Infinite Monkey Theorem at 121 Pickle Rd. where your little "I Voted" sticker can land you $2 off of any glass of wine. All locations of Lavaca Street Bar will offer 20 percent of nachos all day to anyone who's voted. This would be a great way to celebrate since Election Day also happens to be National Nacho Day this year. All locations of Shake Shack will offer free fries with any purchase when you show them your "I Voted" sticker. The Volstead located at 1500 E. Sixth St. will give you a free beer when you show them your "I Voted" sticker. The bar will have live music for Election Day with no cover. So get ready to have some fun on Election Day and celebrate the fact that you did your civic duty. If you know of a business that is participating in Election Day specials, not on this list, let us know. We would love to get the word out just in case anyone needs a little extra nudge to cast their ballot. 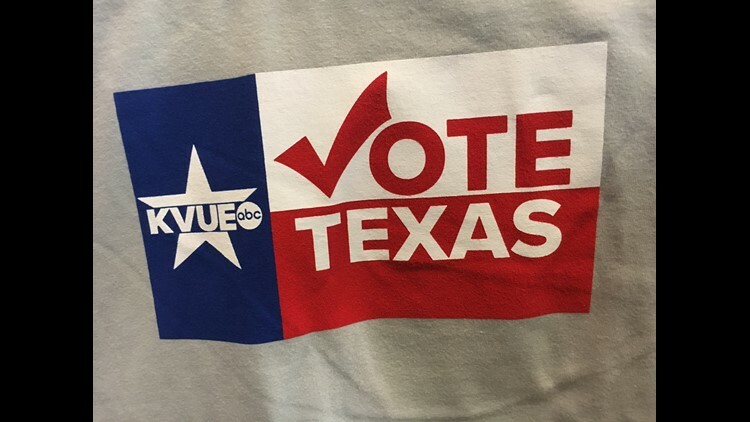 Remember, when you vote on Election Day, take a picture and send it to KVUE through either our social media channels: Facebook, Twitter, Instagram, or by email at news@kvue.com. Also, remember to use the hashtag #VoteTexas when you post. We hope to see social media flooded with images of Texas voters on Election Day. For coverage of Election Day, and for any information you may need on the elections head on over to kvue.com/votetexas.